Why Are My Nerves So Sensitive? The revised 2nd edition of this clinical guide contains significant updates and new content, explaining how to teach your patients about pain and integrate pain neuroscience education into your practice. Evidence shows that patients who better understand their pain, and what pain truly is, experience less pain, have less fear, move better, exercise more and can regain hope. Pain Neuroscience Education is written by clinicians for clinicians, with all information presented in a way that is relevant and readily applicable to “real-world” clinical settings. The authors deliver an evidence-based perspective on how the body and brain work together to create pain, teach how to convey this new view of pain to patients in a way that’s easily understood and internalized and demonstrate how to successfully integrate pain neuroscience education into a practice. 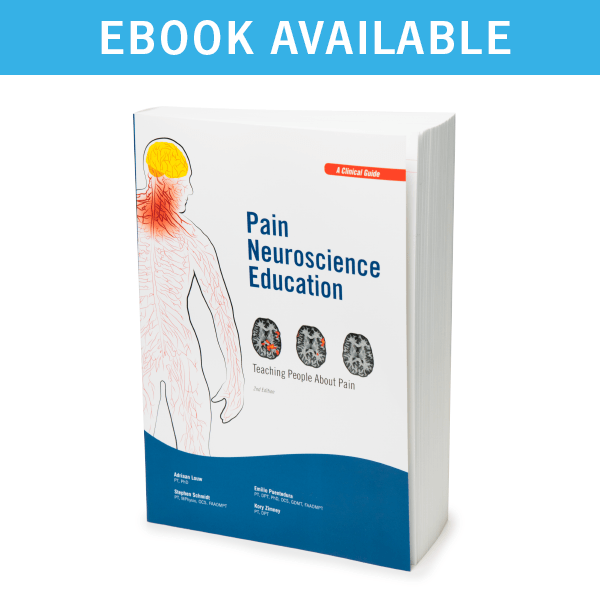 This textbook and clinical guide is not only the perfect way to introduce students to the evidence base and application of pain neuroscience education, but also helps clinicians productively treat chronic pain instead of just managing it. Written by physical therapists Adriaan Louw, Emilio Puentedura, Steve Schmidt and Kory Zimney. Illustrated. Softcover; 536 pages. Non-returnable. 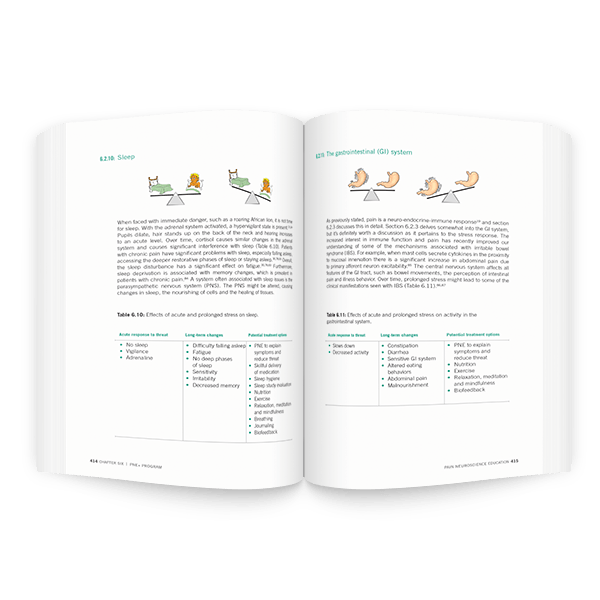 Want an eBook version? Choose the eBook PDF format in the dropdown menu at the top of the page. Please view our eBook FAQ before purchase to ensure compatibility. This is an amazing book about pain neuroscience education. 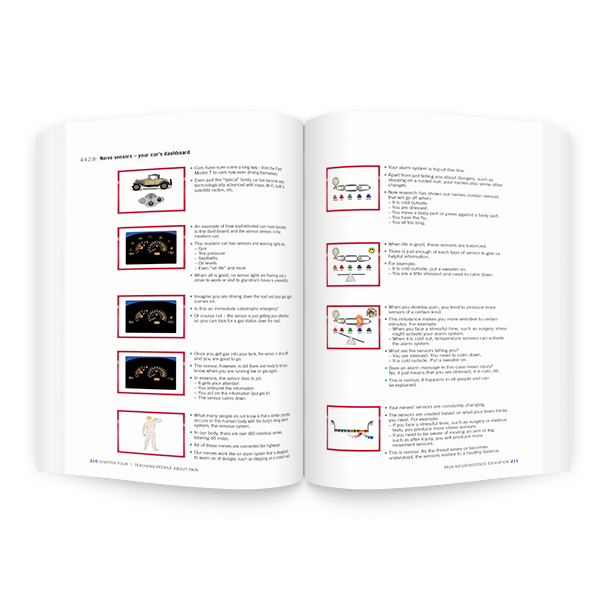 I have taken a lot of courses and read numerous book about this subject in order to teach and help my patients with chronic pain, but this book is comprehensive, readable, understandable and practical which gives you tools to help your patient. Reading about the brain itself like Norman Doidge MD will give you many a-ha moment as well as Louw and his group does in his book.